Exciting game in Turin this Tuesday night, but it's Juventus who will be taking the advantage for next week's return leg at the Bernabéu. 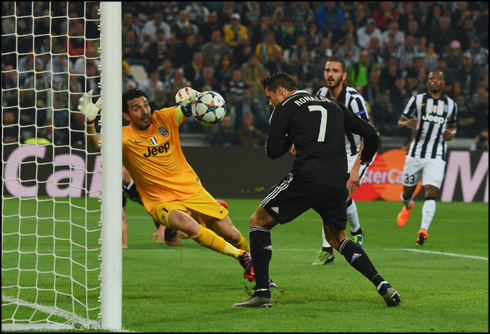 The "Vecchia Signora" defeated Real Madrid 2-1 thanks to goals from Morata and Tevez, but Cristiano Ronaldo's header still inside the first half may very well end up doing all the difference. No one was expecting for Real Madrid to have an easy game tonight in Italy, afterall, it's the UEFA Champions League semi-finals and it was the mighty Juventus they had in front. Carlo Ancelotti's men left Turin with a somehow fair 2-1 loss, which will now force them to beat the Bianconeri next week at the Bernabéu, when the two teams meet again for the second leg. Cristiano Ronaldo managed to leave his mark once again, scoring the visitors's only goal in this game when he headed another perfect assist from James Rodríguez, just a few minutes before the first half hour. However, Juventus front men on the night, Morata and Carlos Tevez, both managed to score and by doing so, they delivered the hosts an important advantage for next week's clash. A lackluster performance from Real Madrid sees the Merengues go into the second leg against Juventus needing to score to keep their dreams of being the first team in the history of the UEFA Champions League to defend their crown. Goals from Castilla product Alvaro Morata and a second-half penalty from Carlos Tevez, were enough for the Bianconeri to get the win in this first leg battle. Ronaldo did score an equalizer midway through the first half, and it's his away goal that keeps Real Madrid alive and kicking. But for all accounts and purposes, it was a poor performance and Ancelotti's men did not deserve much from this game. From the opening kick-off, something just seemed a bit off from Madrid, their passes lacked any real direction or purpose and they seemed, quite shockingly, overwhelmed a bit by the occasion. Juventus too were a bit timid, but the home crowd support calmed them and they looked the far more comfortable side throughout the match. It wouldn't take too long for Juventus to get on the scoresheet, however, and it would be none other than Alvaro Morata. A ball into the box found the feet of Carlos Tevez, shortly after his quick and well-timed shot got parried wide by Iker Casillas. Unfortunately it fell immediately to the feet of Alvaro Morata, who was able to capitalize on Pepe's lack of awareness. Despite the enthusiasm of his teammates, the former Real Madrid man did not celebrate out of respect, which was quite admirable given the circumstances... What was not so admirable however, was Madrid's early lack of focus. Just 8 minutes into a European Cup semifinal and here they were looking as ill prepared as ever. A far cry from last year, when a disciplined performance held Bayern Munich at bay. That said, there was a sense of urgency that came with the goal and Real Madrid began to press a bit more. And in the 27th minute, thanks to some great work from James Rodriguez and brilliant awareness by Cristiano Ronaldo, the visitors found themselves level. It couldn't have been an easier goal for the Portuguese man in the end (it was a simple header from inside the six-yard box), but James' awareness was nothing but impressive. Despite the bad start, Real Madrid found themselves all knotted up in Turin. In the second half Real Madrid piled on, but it would be that overzealousness in attack that would leave them exposed, leading to Juventus taking the lead yet again. With everyone up for a set piece, a quick Juventus clearance lead to Carlos Tevez with a clean breakaway on goal. Only Dani Carvajal and Marcelo would be able to scamper back and it would be Carvajal, who did so well to get into position and force Tevez wide, who would make the crucial mistake of fouling the Argentine forward inside the box. Tevez easily slotted the penalty home, as Madrid again found themselves behind. The Merengues would try and try again, but Juventus set up shop at the back and made it extremely difficult for reigning European champions to score again. The likes of Gareth Bale, Sergio Ramos and Marcelo were quite poor, giving away possession multiple times and generally looking like shadows of their former selves. 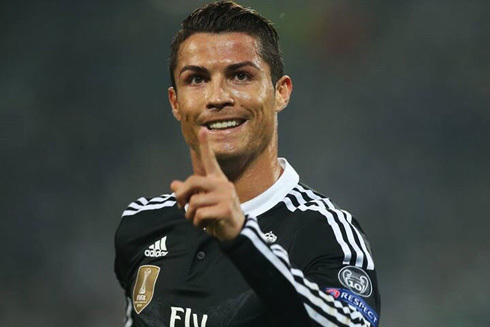 Cristiano Ronaldo next game will be for the Spanish League against Valencia, on the 9th of May of 2015. You can watch Juventus live stream, Real Madrid vs Valencia, Barcelona vs Bayern Munchen, Crystal Palace vs Manchester United, Everton vs Sunderland, and Mainz vs Hamburger, all matches provided from our soccer streaming live game pages.